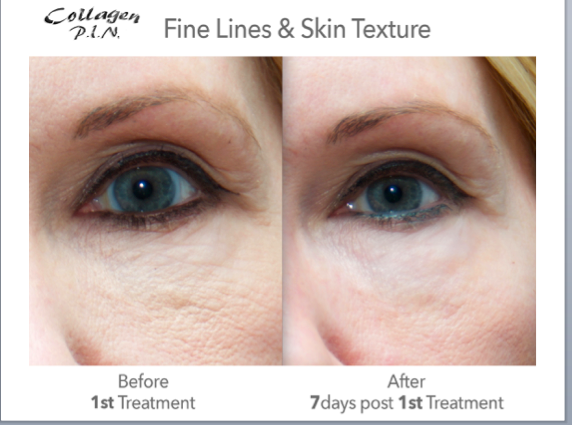 Mid-Atlantic Skin offers Collagen P.I.N. 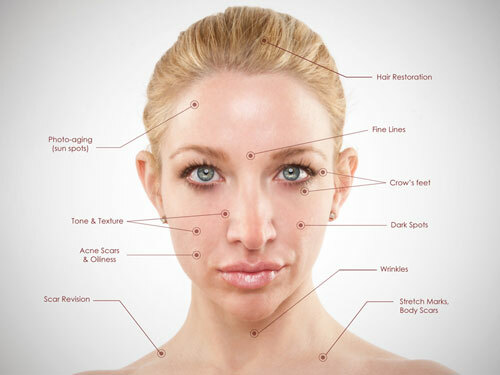 Microneedling in Waldorf, MD with our highly trained medical professionals. And, now through the end of May, get 20% off your treatment. Percutaneous Induction Needling, also referred to as PCIT, Percutaneous Collagen Induction Therapy. Collage P.I.N. is a method of inducing a controlled injury into the skin’s dermal & epidermal junction which induces growth factors, new collagen and elastin. This process causes much less damage to the epidermis than dermal rolling, lasers or any other ablative treatment. Thus, protecting the skin’s cell growth making for quicker healing and higher rates of success. Who Can Be Treated and On What Areas of the Body? Collagen P.I.N. can safely treat all skin types to address a variety of concerns. Most all areas of the body can be treated unless it is determined otherwise during your consultation. How Many Collagen P.I.N. Treatments Will I Need? Typically a series of three to six treatments is recommended, depending upon your area of correction or concern. Our medical professionals at Mid-Atlantic Skin will ultimately determine a treatment schedule based on your individual goals and desires. Treatments are usually spaced in four week intervals. Patients with deep wrinkles, advanced sun damage, stretch marks, or any type of scars, usually require six or more treatments to achieve the desired results. Will the Collagen P.I.N. Procedure Hurt? Prior to your treatment we will apply a topical numbing agent. A majority of patients report feeling very little to no pain at all once the numbing agent has been applied. How Long Will My Collagen P.I.N. Results Last? As our skin ages, our collagen production naturally slows down. Collagen P.I.N. produces results through the stimulation of growth factors and collagen, thereby, promoting new skin cells to surface. Your overall results and Collagen P.I.N. benefits will last longer when using an at home skin care regimen that includes a daily retinol product. New collagen and elastin formation has been documented to still be present as much as one year later from just a single Collagen P.I.N. treatment. How Long Will It Take for Me to See Results From My Collagen P.I.N. Treatment? A majority of patients see results after just one treatment. Individual results vary depending on individual skin health. Most commonly, patients report seeing positive changes as soon as one to two weeks after the first treatment. However, change is normally noted within a few days. What Will I Look Like After My Collagen P.I.N. Treatment? Collagen P.I.N. is considered a no downtime treatment. Immediately after your treatment your skin will look moderately red such as a light sunburn. We will recommend a post-treatment skincare regimen based on your individual skin. This will also help with any redness you might experience due to the treatment.